Fill out the form with any questions or inquiries you have for the sales consultants at Settlers Ridge. You can also call or chat with us for immediate responses. Riverton’s floor plan impresses, from the generous entertaining areas to the formal dining room. Just off the open kitchen, the indispensable Pulte Planning Center® serves as the nerve center for family life. Flex space off the foyer suggests a den or study, and the 3-car tandem garage offers plenty of space. Upstairs, a tucked-away loft multitasks as a playroom or family retreat. Step inside Riverton to see the Life-Tested Home Designs® with more usable space where you want it most. So you live the way you want to live. 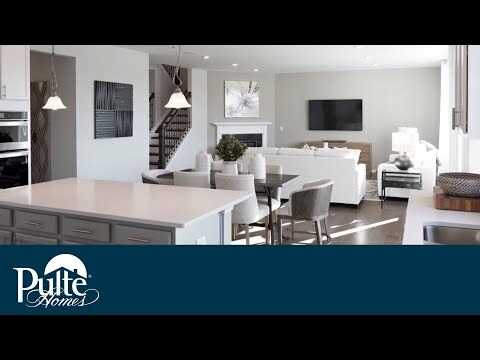 Known for its open-concept living and versatility, the Riverton offers both a formal dining room and optional butler’s pantry along with casual living spaces like the large kitchen café and open gathering room. Enjoy the added storage provided with the Pulte Planning Center®, walk-in closets in every bedroom, and dual-vanity sinks in the Owner's Suite.